Businesses today rely heavily on SOFTWARE DEVELOPMENT team for innovation and technology to raise productivity and streamline effectiveness. No matter what industry or type of business you have, a relevant technology solution can help organize your expenses, analyze your sales and correspond with customers, manufacturers and other wings. Software solutions are as tangible and integrated with concepts as marketing philosophy, competitive strategy and business models. However, the business process that is built upon these fundamentals offers the real key to success. Our software developers play a crucial role in determining your needs and then guide you toward the right products and tools for your business. Our web developers and mobile app developers have the insight and expertise to help you achieve your business goals while reducing the deployment time and total cost of ownership. We create value by augmenting your business with a solution that not only possesses the right capabilities but also the real-life fit that relates to your specific business requirements. Our DevRes as a service allows you to quickly spin up a Development and release environment that your teams can leverage. We automate your build, test, and deployment pipelines across the cloud or your on-site environment, and manage the infrastructure for you. Our tools & experience help bring software, applications and services to market faster and more efficiently. If you’re looking for a basic website to get your business on the web, we suggest a WordPress website. 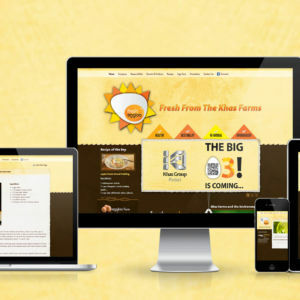 This responsive platform gives you the basics you need with a modern design that compliments your logo and branding.